This fire was made during a Peace Circle discussion between a group of Israelis and Palestinians. They meet once a month to have honest discussions about the conflict. Mostly they want to meet “the other” and see that we are all not so different after all. A view of my apartment in the Jerusalem neighborhood of Nachlaot. Once sanctioned off as the place for new immigrants from Yemen and North Africa, Nachlaot is now the uber trendy spot for young Israelis. Most of the homes are dilapidated and over-priced. My favorite place: the shores of the Mediterrenan Sea in Tel Aviv. Every so often I need to come here and get away from the chaos that is Jerusalem. I found this man at an ancient olive press in Latrun—he sits and watches olives become oil all day long. 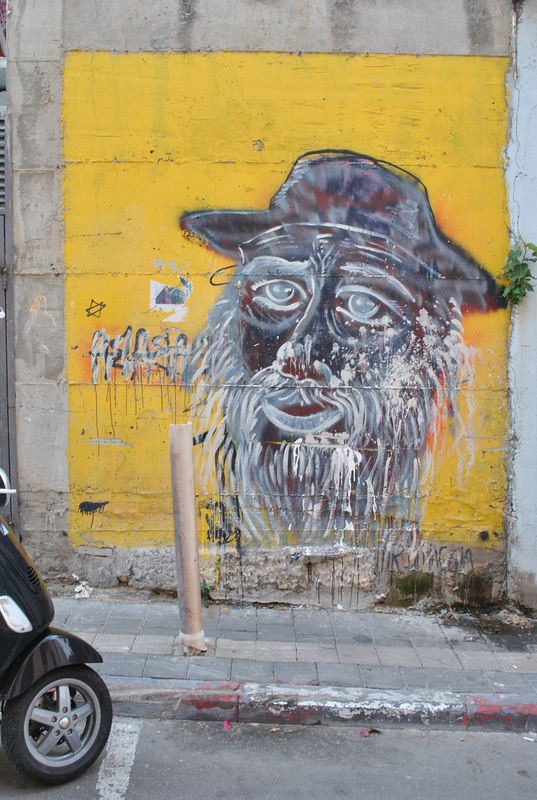 I came across this art while in the Neve Tzedek neighborhood of Tel Aviv. It’s like someone took a piece of Jerusalem with them into Tel Aviv, a typically “un-religious” city. 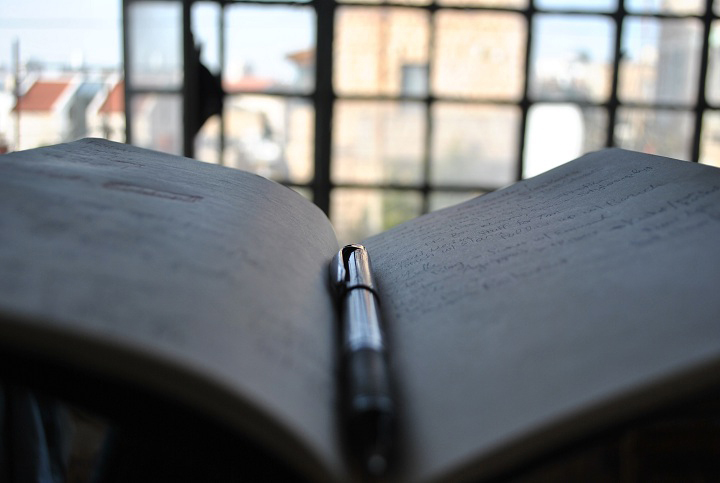 As a writer, I carry along a notebook and pen with me at all times. This view is looking out the front windows of my apartment. 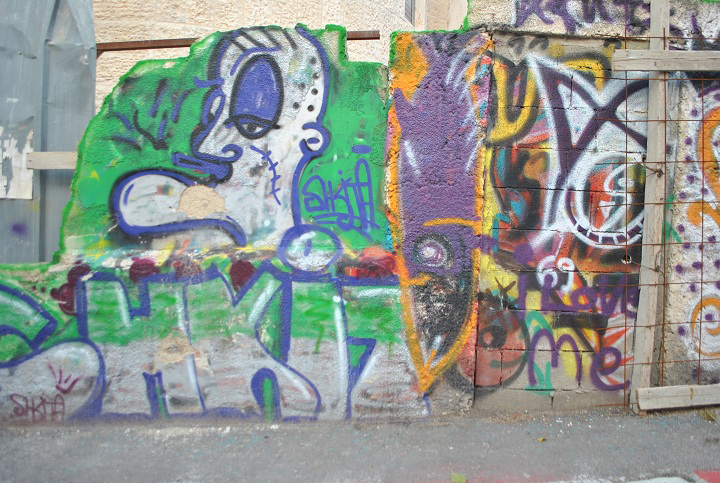 Israeli graffiti tends to air on the side of political. This graffiti is not. 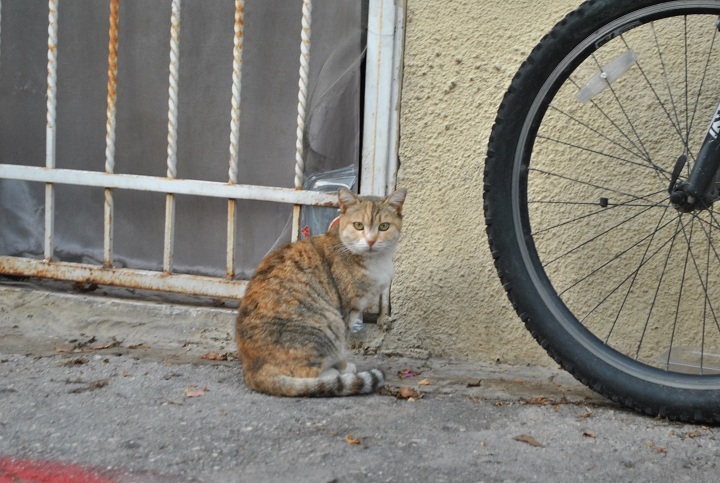 I spent a week in the Northern mystical city of Tzfat, volunteering, hiking and learning about spirituality. The Zohar, the main Jewish text for Kabbalah (Jewish mysticism) was created here in the 16th century. The city is magical. One of the most wonderful things about Israel is that strawberry season is in the winter. 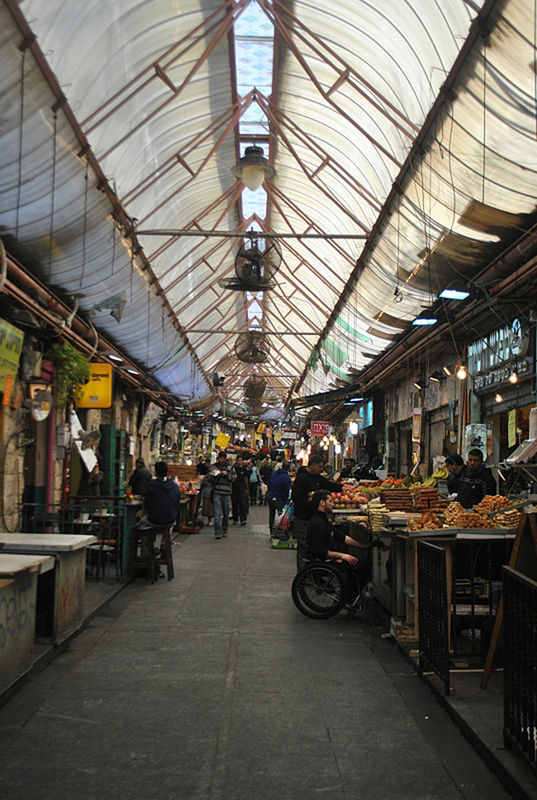 The Machane Yehuda “shuk” aka market, is one of the highlights of living in Jerusalem. Every Friday morning this place is packed with shoppers preparing their Friday night Shabbat meal. It’s a madhouse. Vendors yelling, old women knocking you over with their carts and a general feeling of chaos. It’s wonderful. Anabelle Harari is a food blogger writing about seasonal and sustainable food from around the world. She is the community attaché for Birthright Israel Experts and currently lives in Jerusalem. You can connect with her on twitter @thelocalbelle.